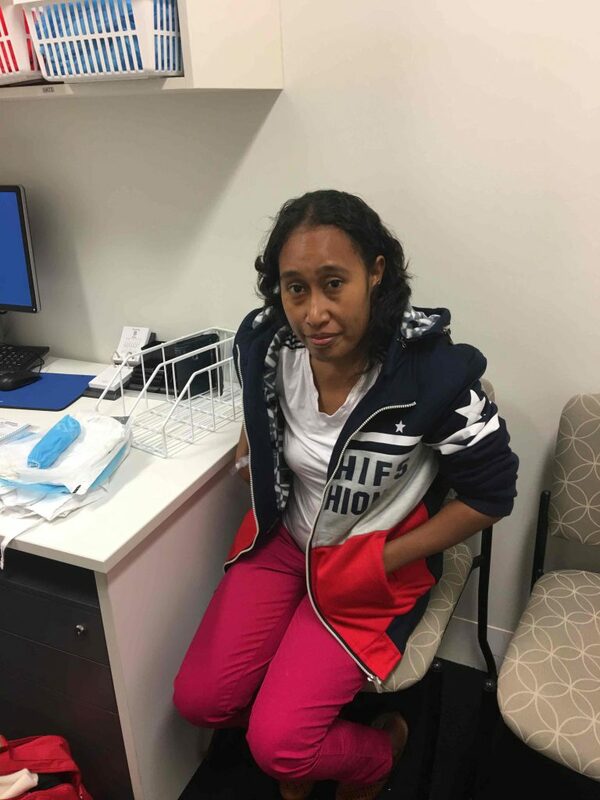 A young woman from Timor Leste is excited to be returning home following life-changing neurosurgery made possible by Epworth Richmond, Children First Foundation and a Melbourne GP. When Maria started to experience weakness and muscle wasting in both her hands in early 2016, humanitarian medical centre Bairo Pite Clinic, based in Dili, sent out a call for help. There are no facilities in Timor to diagnose or treat Maria, and few resources to support people with disabilities. Melbourne GP Sue English, who has worked with communities in Timor-Leste for 15 years, raised the money to fly Maria to Darwin for investigations and assessment. Tests revealed Maria had Arnold Chiari Malformation at the base of her brain and a resultant extensive cervicothoracic syrinx which expanded and was causing damage and injury to her brainstem and spinal cord. Without surgery, her condition would worsen and she would become progressively more disabled, then quadriplegic. The condition can be fatal, however, it is reversible with surgery to decompress the narrowing at the base of the skull to release pressure on the brainstem and spinal cord. Dr English is a member of Children First’s Board and referred Maria’s case to the Foundation for consideration. 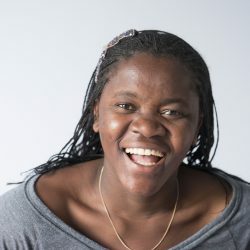 Although at 26 Maria is older than the children the Foundation usually helps, Children First agreed to provide her accommodation and pre-and post- surgical care and arranged her medical visa. Epworth Richmond with support from Epworth Medical Foundation agreed to provide the much-needed hospital care. 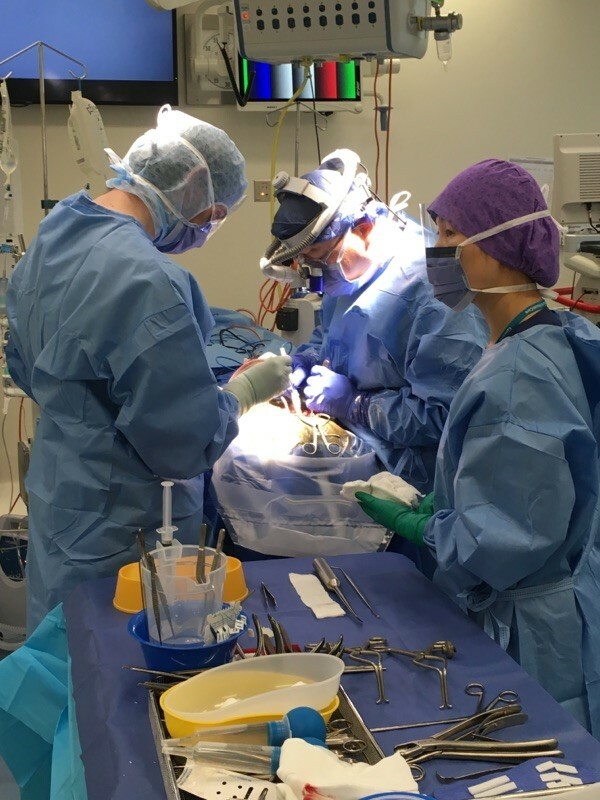 Epworth neurosurgeon Mr Patrick Chan, volunteered to perform Maria’s surgery pro bono. When Maria arrived at the Foundation’s Kilmore Retreat she had significant weakness in her hands, unable to perform even the most minor tasks, such as peeling a vegetable. The surgery was successfully performed on 8 June with Maria discharged four days later into the care of Children First. The Foundation arranged hand therapy post-surgery, to help improve the function in her hands although it may take up to 18 months for function to return. Maria comes from a family of farmers in a small village, three hours’ drive from Dili. She’s excited to be returning home to celebrate her mother’s birthday, and then return to study at university. And of course she’s very grateful for the wonderful care which has given her a second chance.